The outdoor space is the real star of this property! The lot is over 7,500 square feet! The large patio wraps around two sides of the house, providing plenty of comfortable space for entertaining, or just relaxing in the outdoor soaking tub. 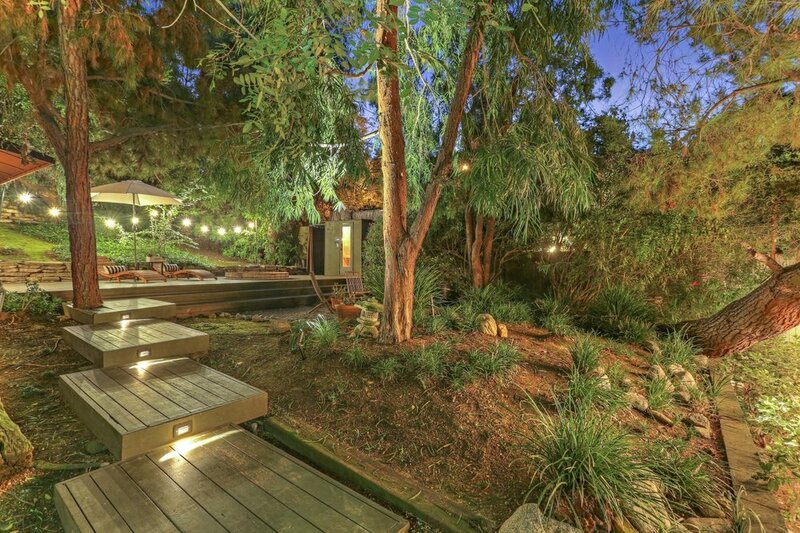 The backyard is beautifully landscaped with tall trees and lush greenery. This 1,166 square foot mid-century house boasts modern design features such as sleek stainless steel countertops and cool cork floors. The front room has a huge sliding glass door that lets in lots of natural light which, coupled with the high ceilings, creates an open and airy feel. The kitchen is perfect for anyone who loves to entertain! The long countertops and large gas stove provide plenty of space to create a holiday feast or a quick weeknight bite. The living room has enough space for a dining table for guests, but you may prefer to serve on the patio. This house offers some truly unique features. 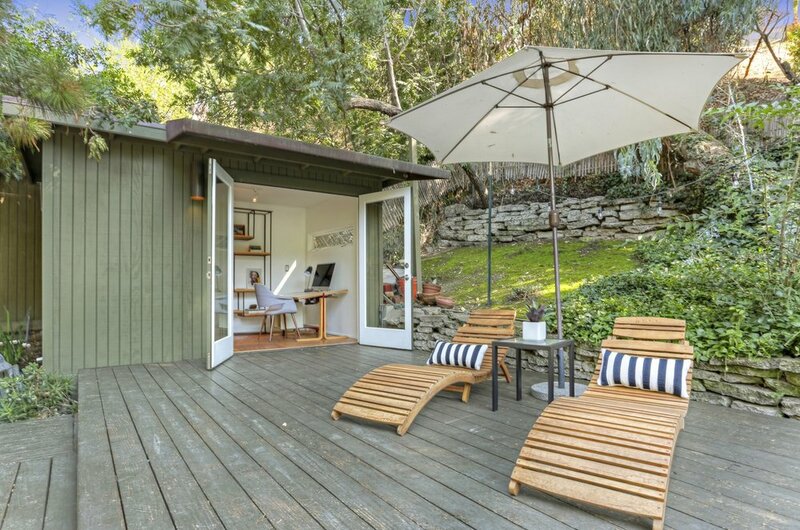 Not many homes have an artist's studio in the backyard! This space could be used as a cool creative space, or an office, or maybe even a playhouse for the kids. There is also a detached dressing room off of the master bedroom with lots of extra storage space and privacy curtains to use after a dip in the hot tub. 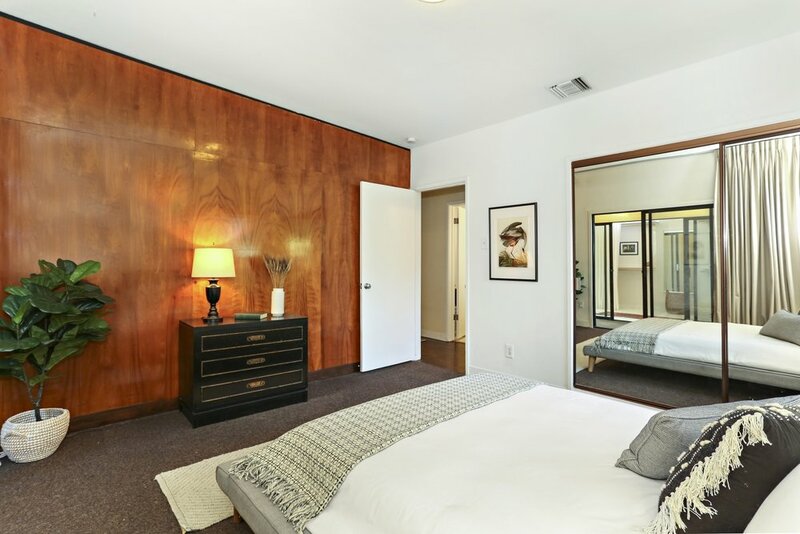 This home is near all the awesome amenities on both Figueroa and York. 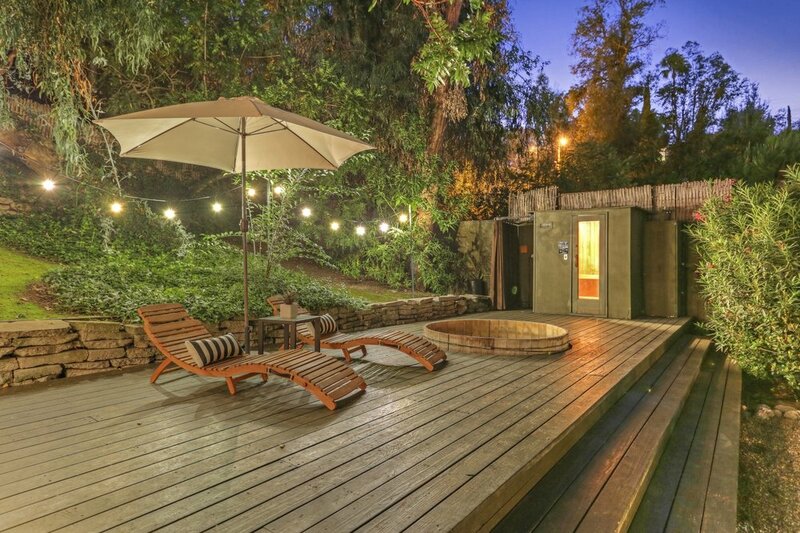 Located in Highland Park neighborhood, this home has easy access to all the fun of Urban LA, while also giving a secluded natural feel. It's the best of both worlds! Don't wait to make this amazing property your dream home! Sign up with your email address to receive news and updates on Los Angeles Real Estate.